Ever busy on Sharon’s behalf, the Buckman Agency has secured a number of new foreign rights deals over the summer and in the run up to the Frankfurt book fair. The Craftsman will shortly be appearing in Denmark, Spain, Poland and Slovakia, with Dead Woman Walking hitting the bookshops soon in Hungary. Poland have also bought Blood Harvest, whilst the Czech Republic are trying out Little Black Lies. Turkish publishers, Pegasus, have offered rights deals for Little Black Lies, Daisy in Chains, Dead Woman Walking and The Craftsman. 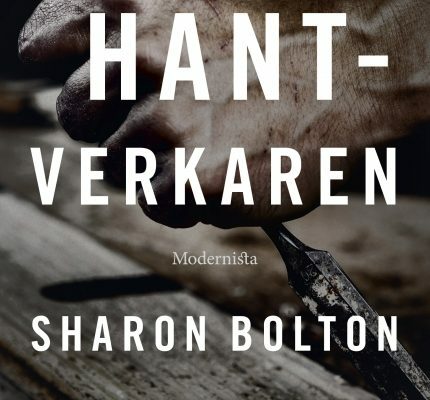 In the meantime the Swedes, always very close behind the UK in their publishing schedules, have produced a dark and menacing cover for their edition of The Craftsman or, as they say in Sweden, Hant-Verkaren. Sharon would like to thank all her overseas editors, and Rosie and Jessica Buckman for their continued hard work.